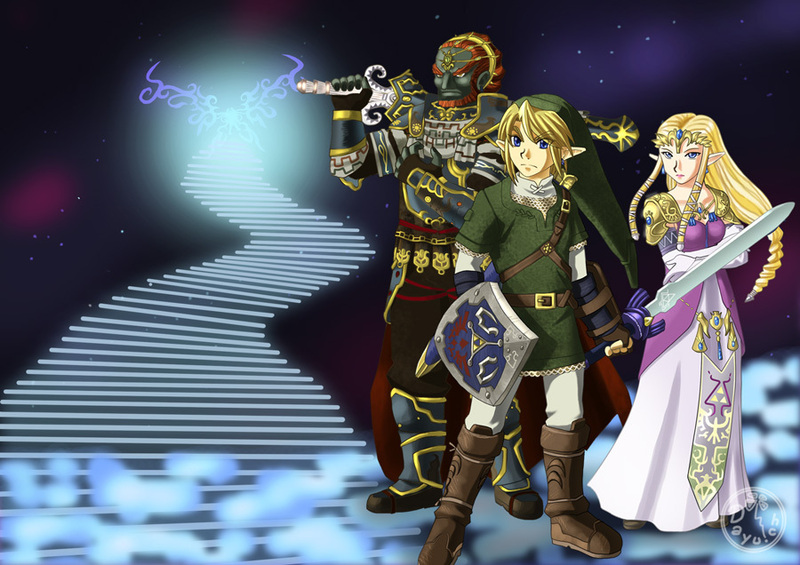 Link, Zelda and Ganondorf in Brawl. . HD Wallpaper and background images in the The Legend of Zelda club tagged: the legend of zelda link zelda ganondorf super smash bros. This The Legend of Zelda fan art might contain lippizan, lipizzan, and lippizaner.